This item is not available for purchase online. Please call (208) 338-0144 to order. 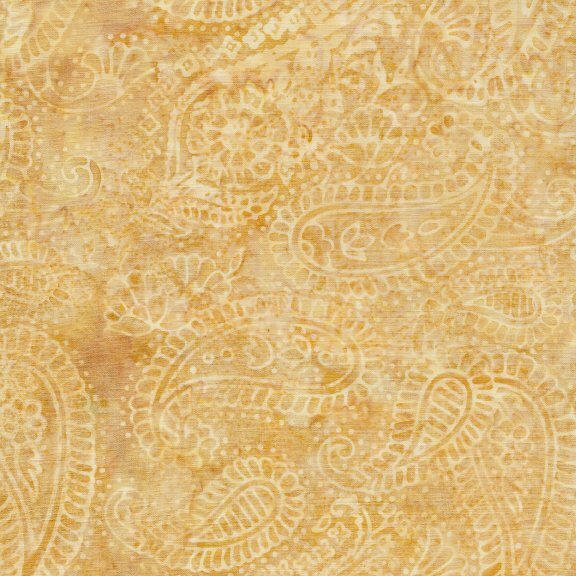 Light tan paisley patterns tightly packed and overlapping across a wheat tan and brown batik background. Something magical happens at sunset, when the colors of day and night collide in a majestic display on the horizon! Warm reds and oranges meet cool blues and purples as the sun sets on this batik fabric collection.